The federal government recently reported that child abuse and negligence has been rising at an alarming rate and has increased 27 percent. 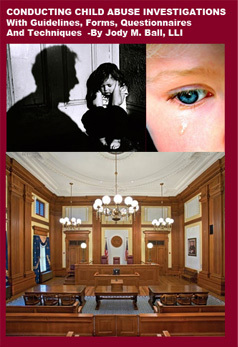 In this ground breaking work, Jody Ball brings to the printing press methods and techniques he has used for many years to uncover the truth behind allegations of child abuse. 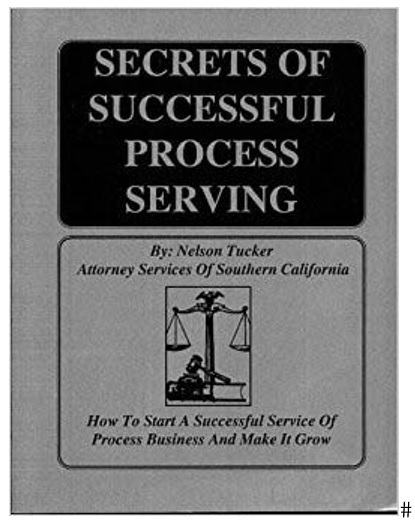 Rather your task is concerned with an investigation in a civil or criminal matter or for the plaintiff or defense, you'll find the expert techniques and guidelines in this work of extreme value in conducting sensitive investigations into the various forms of abuse of children, a vital issue in investigative processes today. An Officer Responding To A Call, Referrals To The Department Of Human Resources, The School District, Physician Referrals, Walk-ins, Anonymous Referrals. Based on a decade of private investigative practice and police officer work, the author brings to the forefront step by step procedures on a subject of investigation that gets little coverage today but is of vital concern to investigators, attorneys and law enforcement professionals. You'll find this investigative resource manual brimming from end to end with resources, questionaires, checklists, techniques, guidelines and helps on how to go about conducting an investigation of child abuse and gathering facts on child abuse issues. eBook only, 65 pages.